Most people spend approximately 1 hour in the arcade. 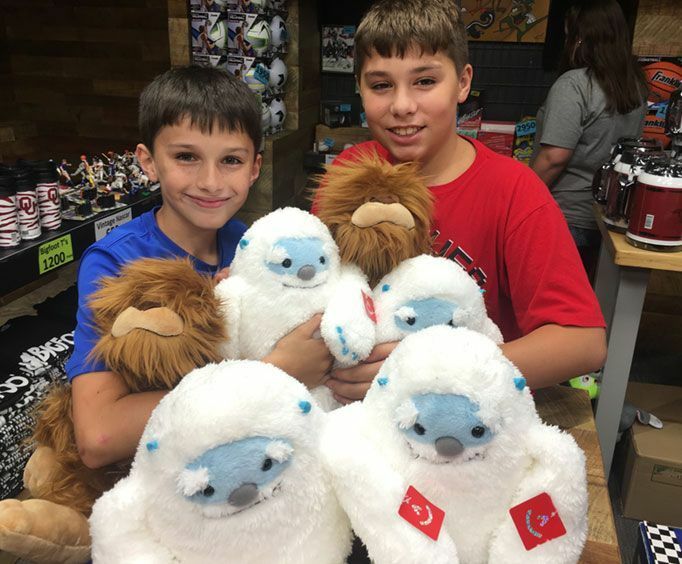 For fantastic family fun in Branson, MO, make sure to check out the Bigfoot Arcade! This arcade features so many amazing games from the past and present, so it's great for all ages and gaming levels. Whether you are a longtime fan of arcade-style games or are wanting to try your hand at a game of Pac Man, the Bigfoot Arcade is the place to be. This place is filled with a variety of games that will challenge and delight you. Plus, there are opportunities to compete for tickets to redeem for prizes, so this arcade experience is sure to be a blast. The arcade is home to so many different games - from classic skee ball, World's Largest Pac Man, World's Largest Space Invaders, Wizard of Oz, Fish Frenzy, Cruise 'n Blast, air hockey, racing games, claw machines, and even loose slots to help guests win more tickets. Once you've collected all the tickets you can carry, head on over to the prize redemption center where you can browse through an amazing array of prizes. There is everything from smaller toys to collectible NASCAR items, designer Kate Spade and Coach handbags, autographed sports memorabilia, and even electronics like PS4s! Prizes are constantly changing, so do not miss out on the opportunity to win something great. For a family outing, there truly is no better place than the Bigfoot Arcade. Guests will be able to play some fantastic games while embracing their inner child the next time they visit Branson, MO.